About 80 percent of Americans experience a back problem at some point in their life. Back pain can be triggered by strenuous activities such as weight lifting or gardening. The most effective way of alleviating back pain is a multifaceted approach that combines some core strengthening exercises, simple daily activities and physical therapy. Here are five fast and effective back pain remedies that may be able to reduce your pain. A significant percentage of people who experience back pain suffer from a sleeping disorder. It is important that you address sleep problems or this vicious cycle will worsen your back pain. Additionally, sleeping in the right position is as important as getting the right amount of rest. Some pointers for the right sleeping position include avoiding stomach sleeping as it puts undue stress on your back. Back sleepers should put a pillow under their knees, while side sleepers should place one between the knees to ensure the spine remains in a neutral position. Your back muscles are critical in supporting the lower spine, so you need to engage in physical exercises that target this region. Exercising the core muscles in your abs and back regularly makes them stronger, which can potentially reduce the risk of back pain. Gently massaging the sore and tense muscles on your back is a very effective and natural way to relieve back pain. Massage therapy can reduce back pain, improve back function and minimize the need for anti-inflammatory medications. However, you should be careful not to harm delicate anatomical structures along the spine. For this reason, we advise that you contact a physical therapist for structural and relaxation massages that promote quicker healing. Hot and cold therapy not only helps reduce your back pain but also spurs the healing process. Cold therapy reduces inflammation and serves as an anaesthetic that slows down nerve impulses, which can reduce pain. Heat therapy, on the other hand, stimulates blood flow in your body, which is essential for quicker healing. Low-level heat also inhibits pain messages sent to your brain to alleviate the pain. An often overlooked but significant contributor of back pain is tight hamstring muscles. Tight hamstrings stress your sacroiliac joints and lower back, which causes pain. Engaging in gentle stretching exercises to stretch your hamstrings at least twice a day can help in relieving your back pain. Although back pain responds to most of these remedies, some situations demand that you seek professional assistance. If your back pain lasts longer than one week, gets worse even after several home remedies or is accompanied by numbness, weakness or tingling, then it requires special care and attention. 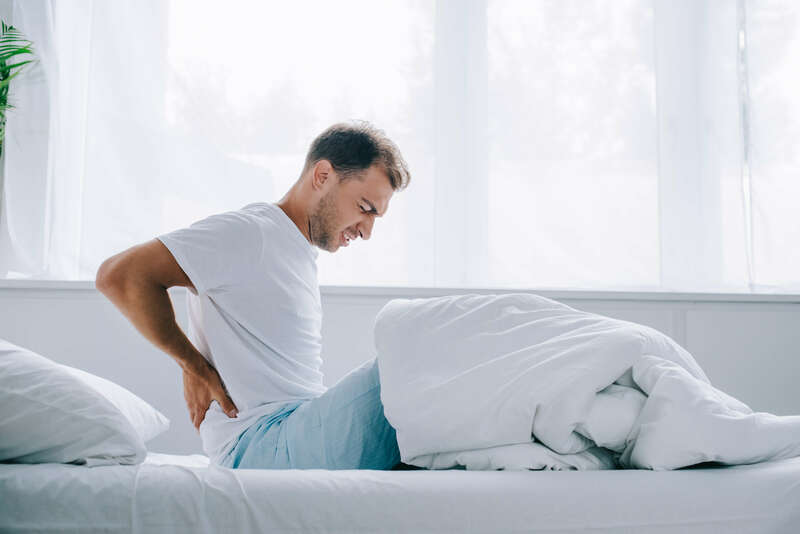 The physical therapists at our Battle Creek, Kalamazoo, Mattawan, Plainwell and Portage, Michigan clinics can help treat your back pain before it starts interfering with your daily life. Early intervention of the back pain helps prevent the development of a chronic problem. Contact us today for more information on back pain remedies or to schedule an initial appointment.